Here you can find all information about the cannabis breeder Accelerator Seeds. We've collected data about 5 Cannabis Strains breed by Accelerator Seeds. 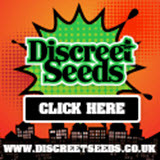 Click on the strains to find more informations, pictures, reviews, comparisons and sources for a variety - and/or check out the Breeder Info here at the page to find out more about Accelerator Seeds. Its also possible to visualize all Accelerator Seeds strains together with all their Parents or Hybrids with our dynamic maps - check it out! Click here to visualize all Accelerator Seeds strains including all known hybrids and descendants with our dynamic map! Here you can watch all Accelerator Seeds strains and their ancestors (sorted by origin) with our dynamic strain map! A collection of rare and special genetics made by those with a passion for preserving the finest and a commitment to only share thoroughly proven and tested varieties., With a fantastic collection of regular mothers and fathers from near and distant locations as provided by our extended social network we present our first few releases ., From Pure Sativas to Heavy Hitting Indicas and many lovely hybrids inbetween. Stick with Accelerator and you will see , smell and taste the difference.